A laid-back Mediterranean city, Murcia offers easy access to some of Spain's best beaches, which are also less crowded and touristy than those around Alicante, to the north. 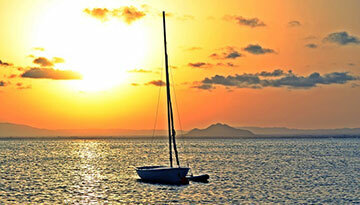 Murcia has almost guaranteed sunshine, averaging 300 days per year, and winters are exceptionally mild. The city of Murcia boasts plenty of cultural heritage. The fusion of Arabic and European history lends a certain exoticism to the landmarks, such as the Cathedral and Town Hall. Foodies will be kept happy with the range of creative tapas and local ingredients. To make the most of Murcia, however, it's worth a trip out of the city. The entire region is famed for beautiful areas of coastline, traditional fishing villages and wellness centres. It's a popular golfing destination, with greens set in beautiful surroundings and no rain to stop play. There are also world-class spas offering the best in relaxation and detoxing, while a full range of watersports will entice the more adrenaline-fuelled. To really get away from it all, the Parque Nacional de Sierra Espuña, to the south of Murcia, offers unspoiled hiking trails in a mountainous, forested landscape. The mountain air also provides a welcome relief from the dry heat of the city. EasyJet offers discounted flight tickets to Murcia from London just at £49.58 round trip. 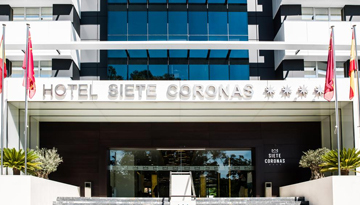 Hotel Silken Siete Coronas is now available at cheaper rate and discounted price. 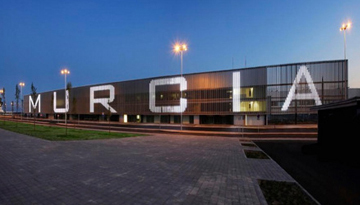 Fly from Birmingham - Murcia & Stay for 7 nights with 2 star accommodation. Room Only.